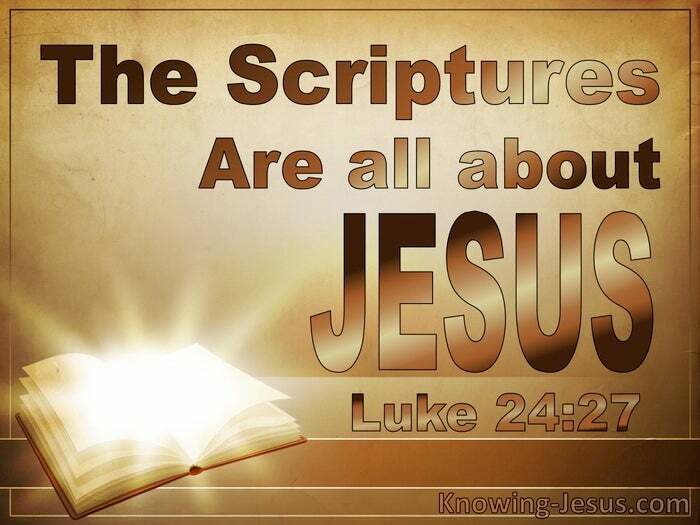 And beginning with Moses and all the Prophets, Jesus explained to them what was said in all the Scriptures concerning Himself. I wonder – what takes priority in your life today? What is your prime concern? Is it your family; your job; your home or garden – your relationships – your reputation? Is it your bank balance – your good name – your power – your health – how you look? Is it that you like to be in charge of the situation.. ..or perhaps responsible for others? Is it retaining your independence, or perhaps having others dependent upon you? Is it helping others – living a good life – reading 10 chapters of the bible each day? I wonder what is the primary concern and principal interest in your life today. 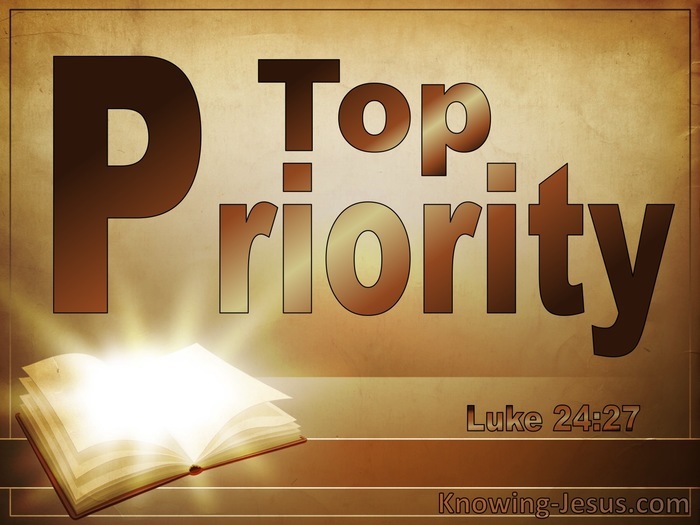 Whatever prime issues we have in life, the Lord Jesus should be our top priority, For when He is our primary consideration, other issues inevitably fall into place. When Christ is given first place – all other issues become beautifully balanced. When Christ is central and supreme in a life – that life is well pleasing to God – for He is the pivot of knowledge and the key to all understanding. We find the Lord Jesus to be the focal point of the prophets and psalms. We locate the Lord Jesus as the centre of all prophecies.. and every promise. We discover Him to be the wisdom threading througout the scriptures.. for He is the pivot of knowledge and the key to all understanding. He is central and supreme in the universe, the heavens the earth, the sea and the sky. He is the center and circumference of all that is and that was and that is to come. He is the ultimate governor behind all principalities and power – dictating all limits. He holds all things together by the power of His mighty arm and the strength of His hand – for without His empowerment we could not draw one single breath. When He’s first- family and friends; home and work and financial issues fall into place. When speaking to the two on the road to Emmaus Christ opened up the scriptures: and beginning with Moses and all the prophets, He explained to them in all the scriptures what was said concerning Himself. Luke 24:27. If we were to understand the incredible significance of Christ’s centrality and supremacy, I expect that we would reconsider what takes top priority in our lives.